Princesses in their huge castle. 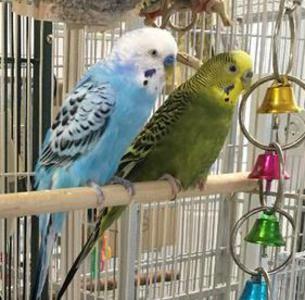 Jewel and Bluey are two female budgies that came to live at Burge Bird Rescue. They've formed an instant friendship. They are not tame. They do great with each other. The fee is $5 per bird. 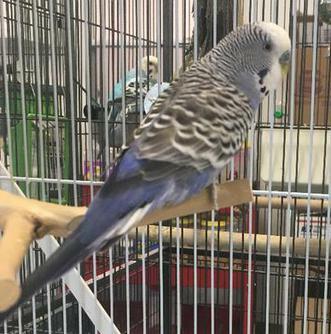 Bob is an eight year old, blue male budgie. He came to live at Burge Bird Rescue as an only budgie. 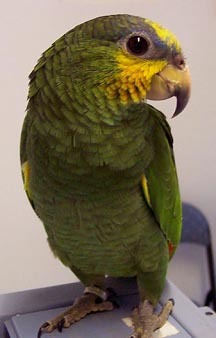 He currently lives with Binky and Clover. He fell in love with Clover. Bob and Clover will need to be adopted together as a pair. The adoption fee is $5.00 each. 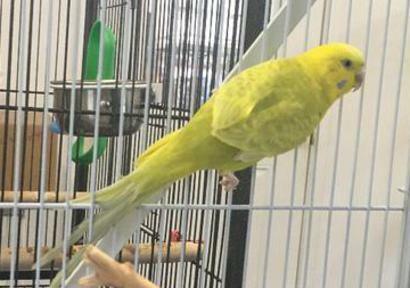 Sweetie Pie is five year old, female budgie. She lives with her friend Buddy, in the same cage. 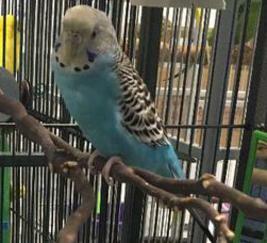 Buddy is a five year old male budgie. They not tame at all. Sweetie Pie and Buddy will need to be adopted together. The adoption fee is $5 each.